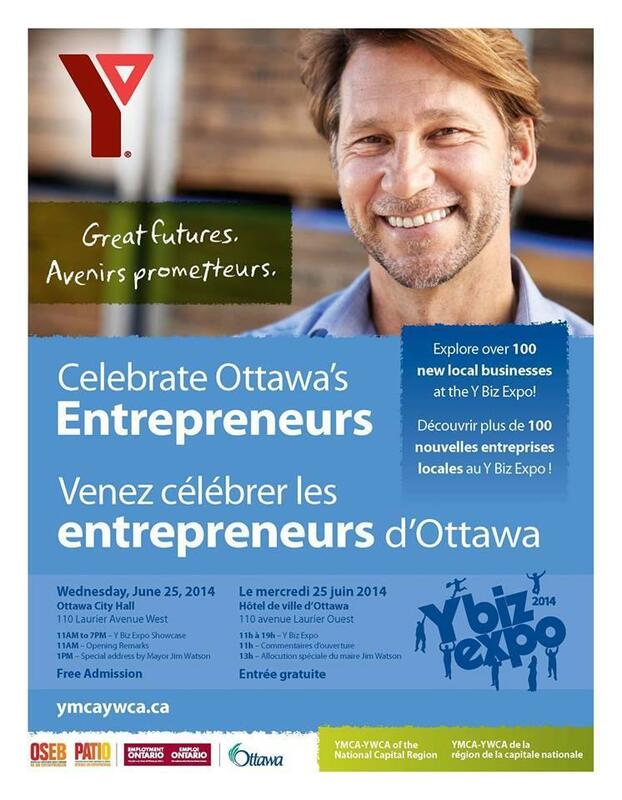 Suddcorp Solutions participated at the National Capital Region YMCA Enterprise Centre's YBIZ at Ottawa City Hall on June 25th. We had a table directly across from Ottawa City Hall information desk and were please to see lots people visit our table to enter our draw for a free social media profile set up or, for those already on social media, a social media or website audit with suggestions on how to improve. 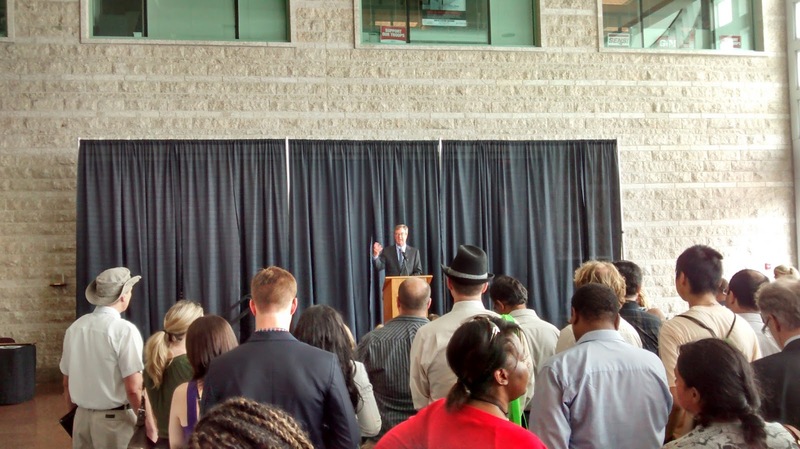 The event was well attended with Mayor Jim Watson giving a keynote speech as well as various City Councillors like Rick Chiarelli, Diane Deans, Allan Hubley and Mathieu Fleury checking out some of Ottawa's Newest Businesses. 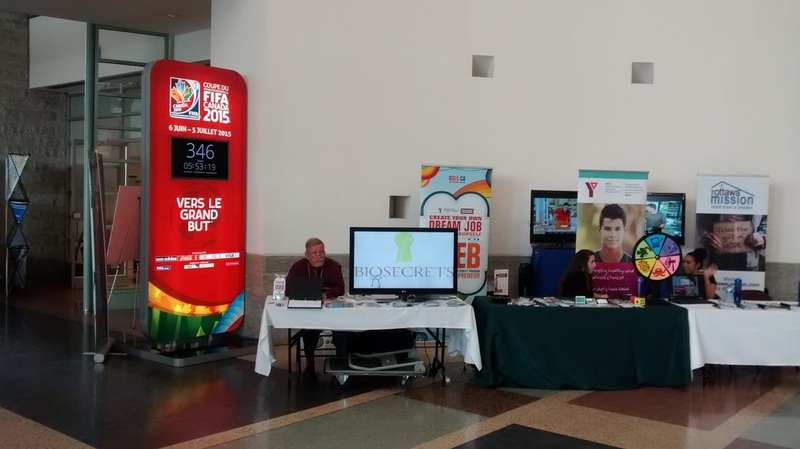 The YMCA Enterprise Centre's staff was helpful in setting up exhibitor booths and making sure everything ran smoothly. The YMCA's Pamela Eastwood even gave the official taste test thumbs up to the dark chocolate that Suddcorp Solutions provided at our table. YMCA's John McCullugh at the YMCA's Enterprise Centre table. As mentioned previously, our draw for a free social media profile goes to Chase Morrison of HeatXterm who selected a Facebook Company profile creation. Chase's company, HeatXterm uses heat to kill bugs in a variety of residential, commercial and industrial settings. It is a more environmentally friendly method to rid your house of bugs than using a variety of pesticides and other chemicals. Look for HeatXterm company to open in July in the Ottawa area. As well, we were interviewed by Trish Murray for Carleton University's CKCU 93.1 FM Radio which aired shortly after 7 A.M. on Monday June 30th on the station's radio morning show. The full show can be found here and the interview starts at 12:10. Thank you Trish! For those who visited our table and wanted to partner with us or entered our draw we look forward to contacting you in the near future. A big thank you again to the YMCA Enterprise Centre's staff for organizing the event along with Mayor Jim Watson's support to have us exhibit at City Hall. It was greatly appreciated. Suddcorp Solutions next event will be ESAX on July 9th at Funnhaven. Watch for us to tweet from the hashtag #ESAX.